Vijay is one actor who works extremely hard to satisfy his fan. Just when he is shooting non-stop for his upcoming film are going ahead in full throttle too. Kalaipuli Thanu would be producing this commercial entertainer on a grand scale. While the Ilayathalapathy Vijay’s latest release ‘Puli’ is making wonders at the box office despite getting mixed reviews, the film which keeps the actor busy these days has evolved as the next big topic of discussion in Kollwood. Vijay is currently shooting for this 59th film directed by Atlee which has Samantha and Amy Jackson as lead heroines. The shooting of the film is said to be 70% complete and the team is on the process of selecting a foreign locale to shoot some sequences between Vijay and Amy Jackson. #GV50 update on oct 17th ! Will reveal ilayathalapathys opening song lyric … #ulagalocaltharaticket !! Semma dance by VJsir saw visuals ! Now the film’s music director G.V.Prakash has jumped in with an update about the music album of the film and here is what it is. 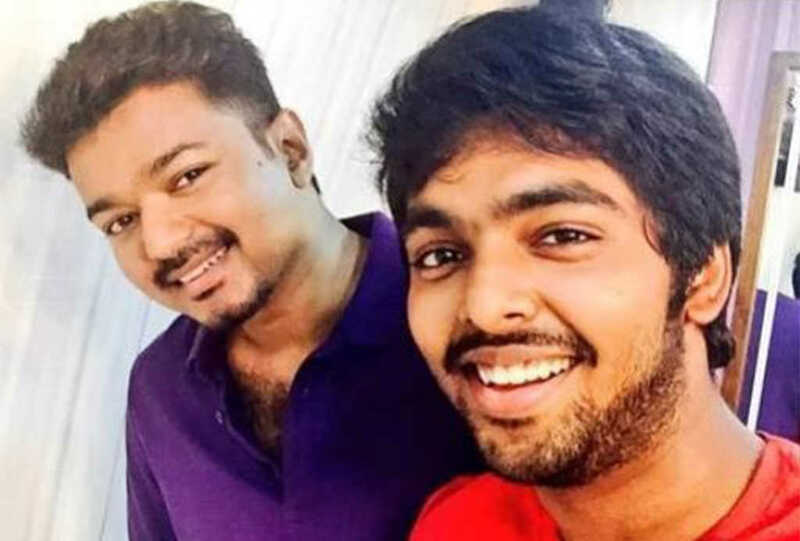 It is worth noting that this is the landmark 50th film for G.V.Prakash as a composer and his second with Vijay after ‘Thalaiva’.